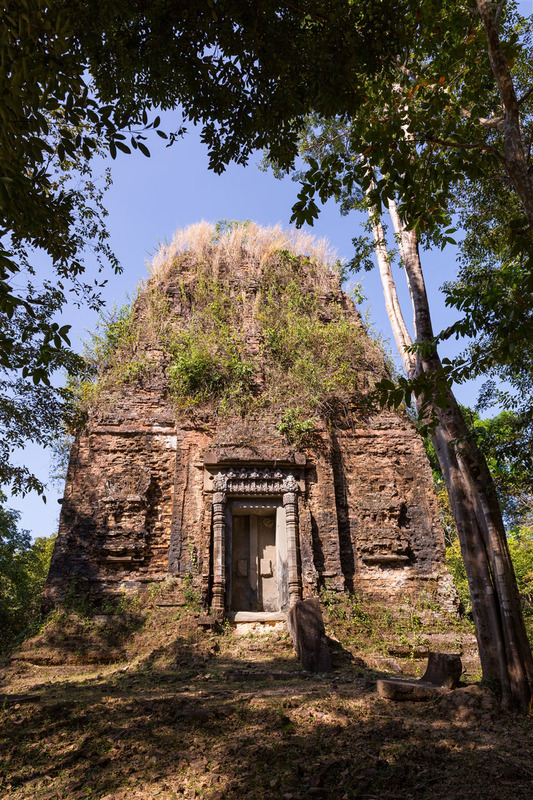 Sambor Prei Kuk is a fascinating temple site just 40 minutes from Kampong Thom, near to the main road route from Siem Reap back to Phenom Penh, north east of the Tonle Sap lake. 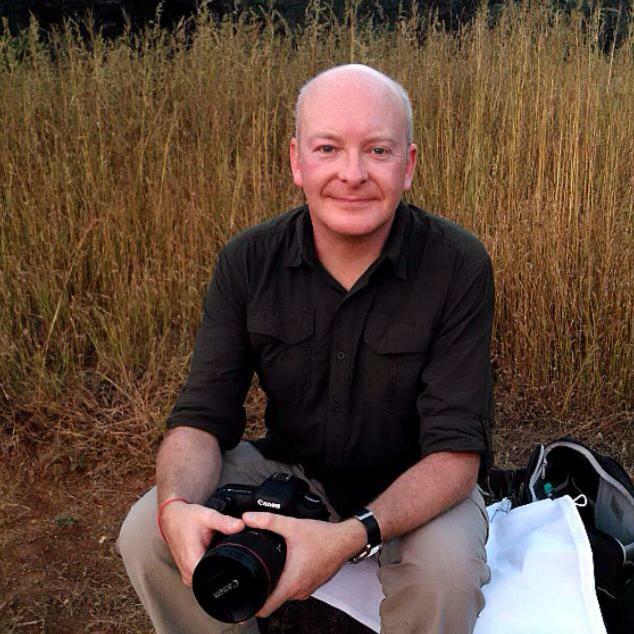 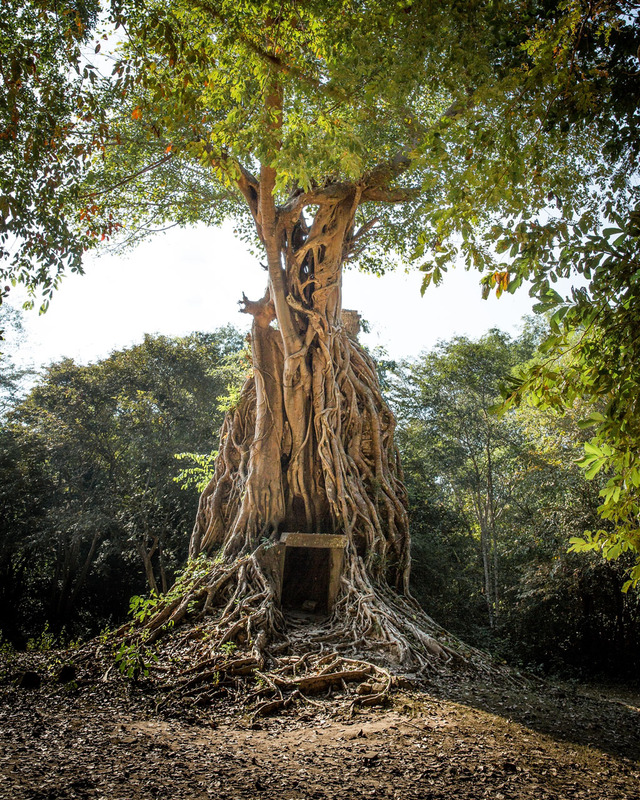 The journey to reach Sambor Prei Kuk was equally fascinating. 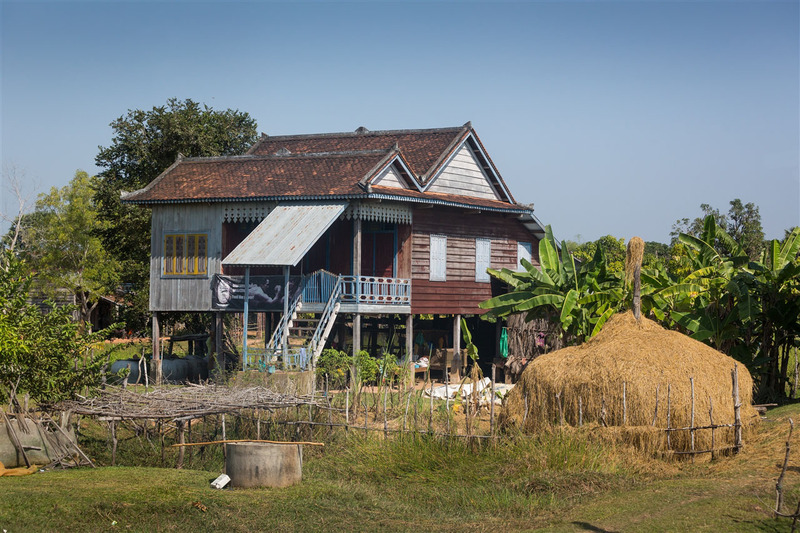 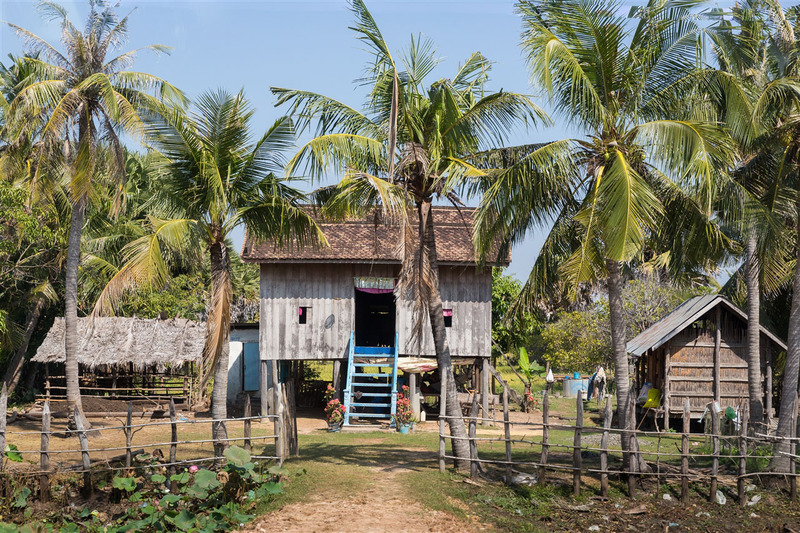 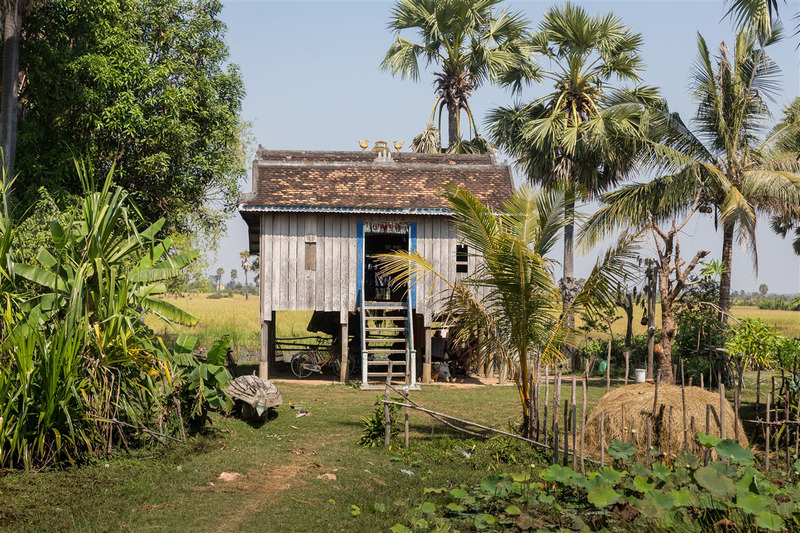 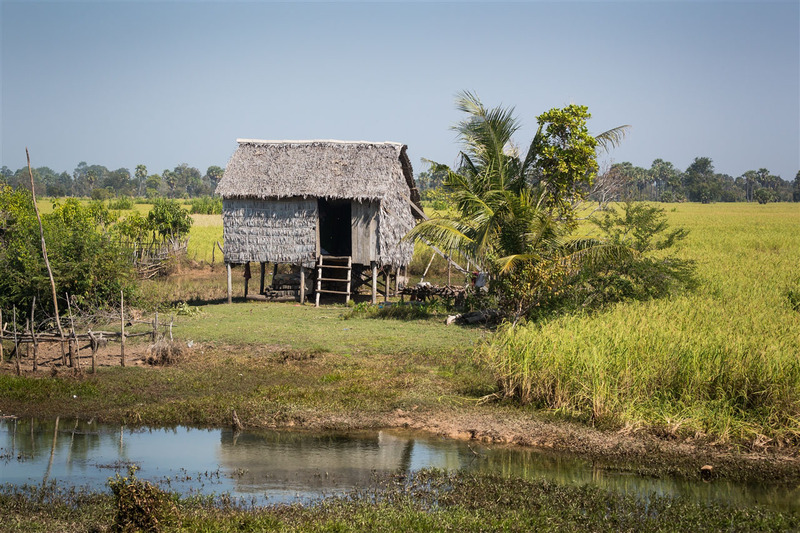 The remote farmsteads, many of which have been recently built after the ravages of the Khmer Rouge, are wonderful structures in their own right. 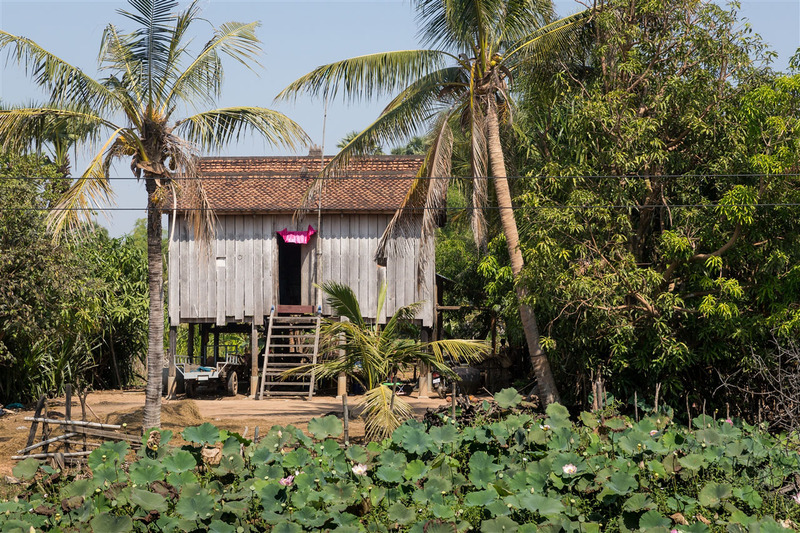 Relatively simple dwellings, built on stilts to protect them from the monsoon floods and to provide a cool shaded area, they’re immensely photogenic. 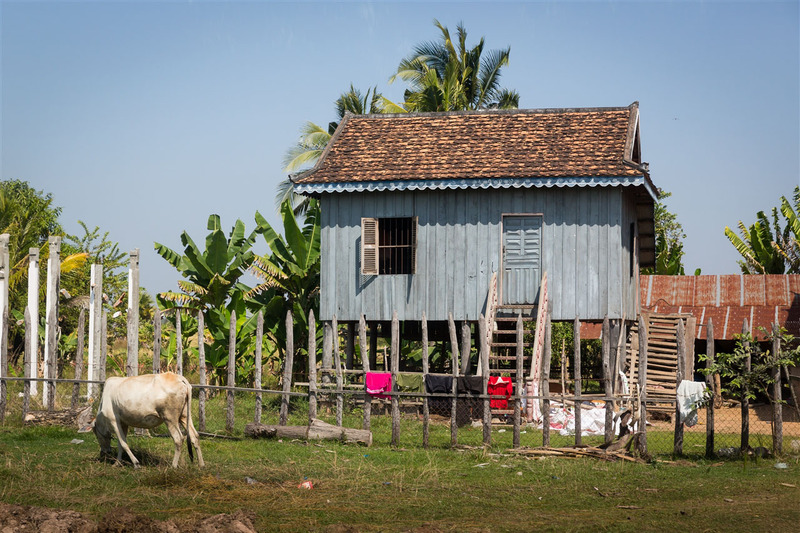 Naturally I couldn’t help but take a few shots out of the bus window. 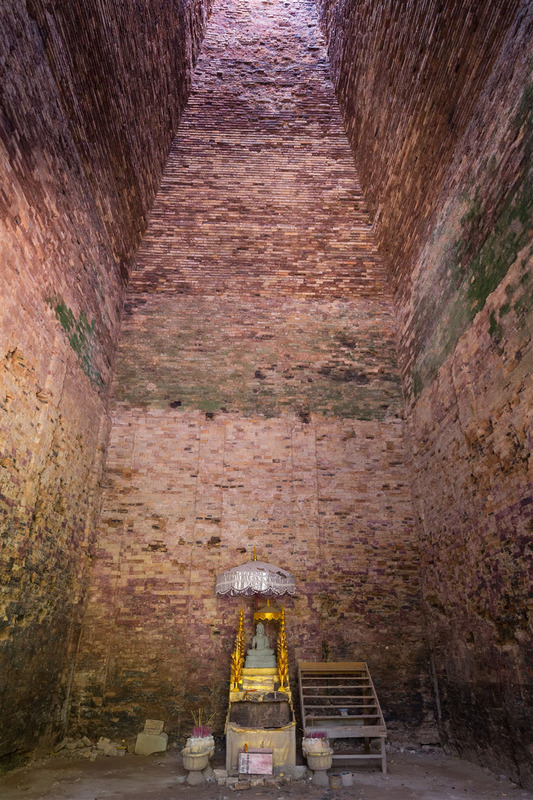 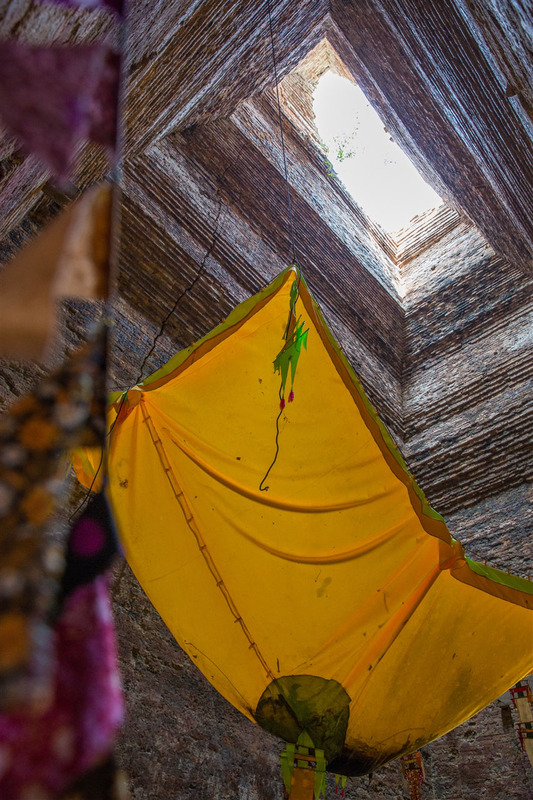 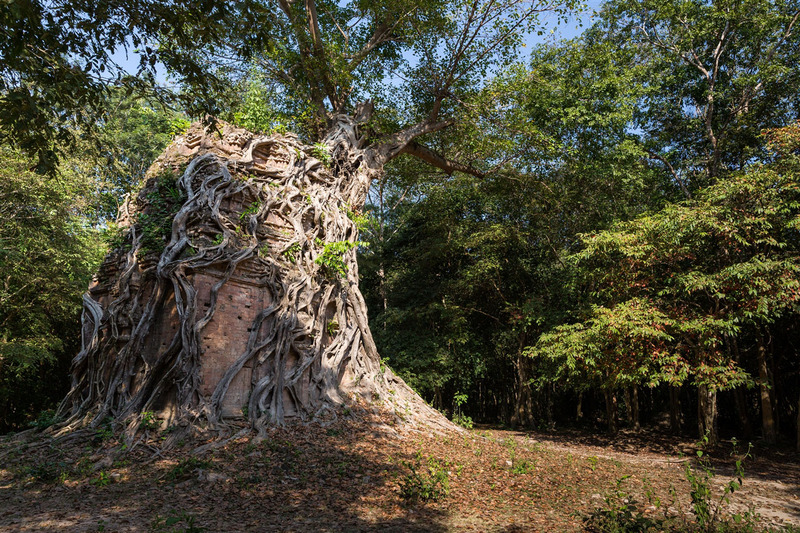 The Sambor Prei Kuk site that you see today is divided into three main sections; the north and south groups, both of which date to the 7th century, and a later 9th century cluster of structures known as the center group. 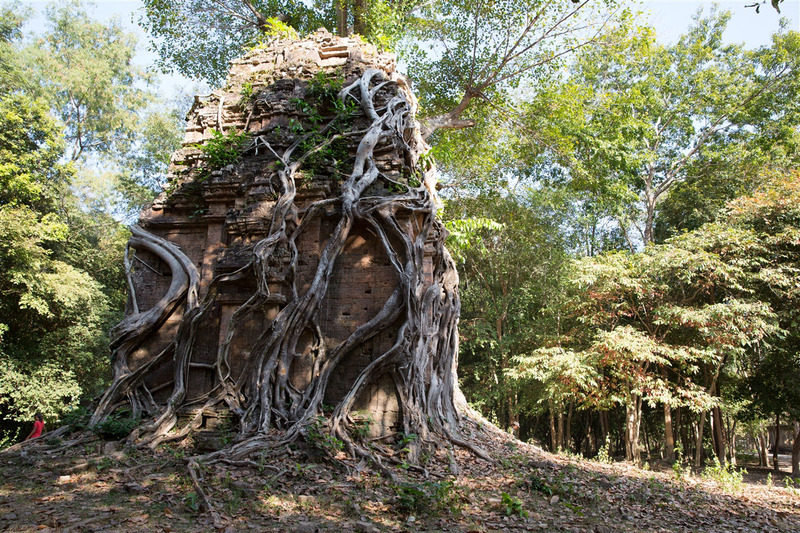 The whole site is covered with remains of towers and other buildings, up to 100 separate structures have been recorded, with carvings poking out of the earth or undergrowth and swamped by jungle. 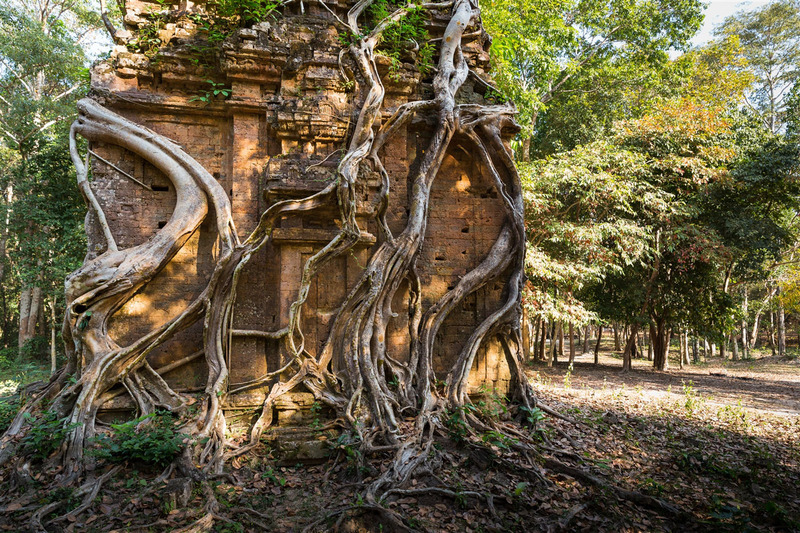 Some of these buildings are the oldest structures in the country. 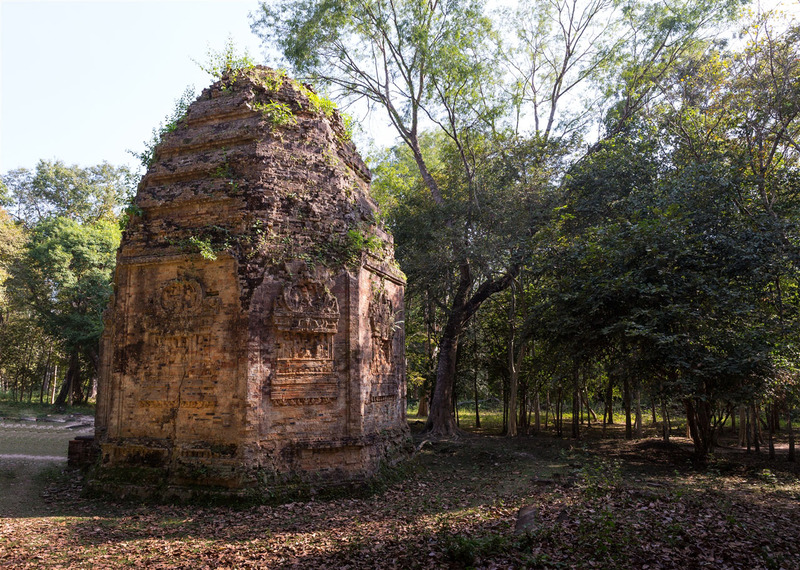 Originally called Isanapura, Sambor Prei Kuk served as the capital of Upper Chenla during the reign of the early 7th century King Isanavarman and continued to serve as an important learning center during the Angkorian era. 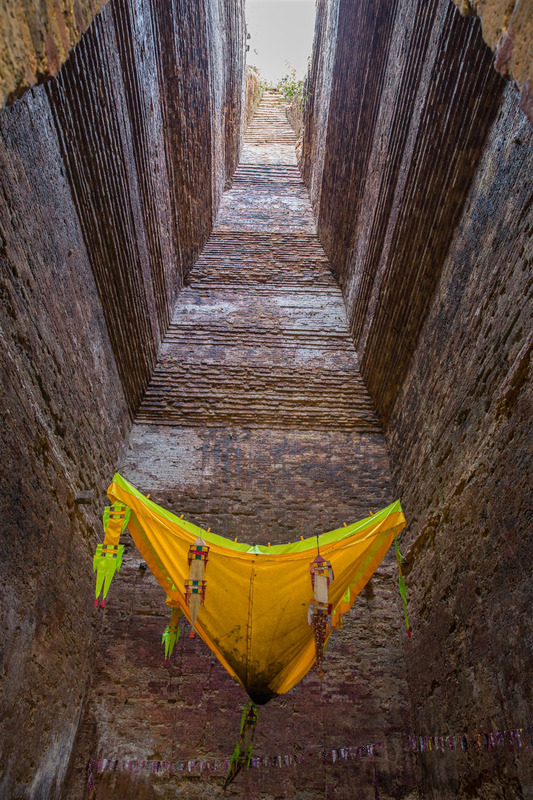 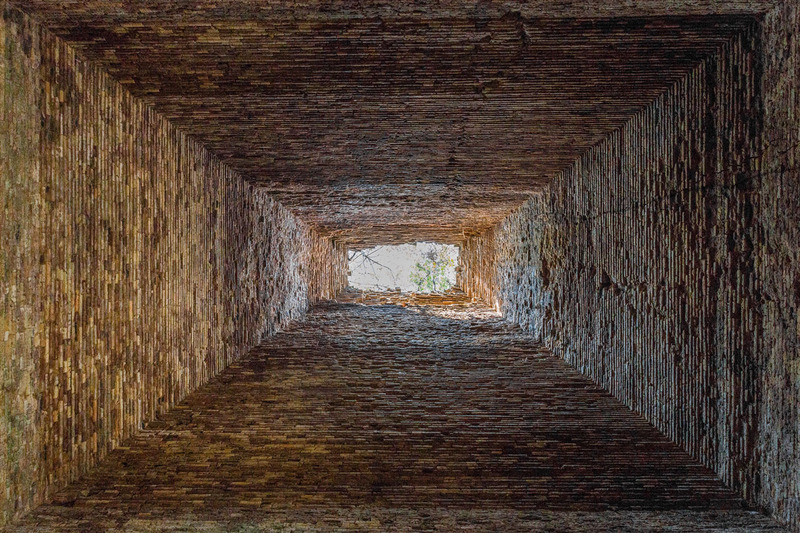 Exploring the site can throw up some real surprises, it’s immensely atmospheric and the chances are you won’t find anyone else visiting at the same time. 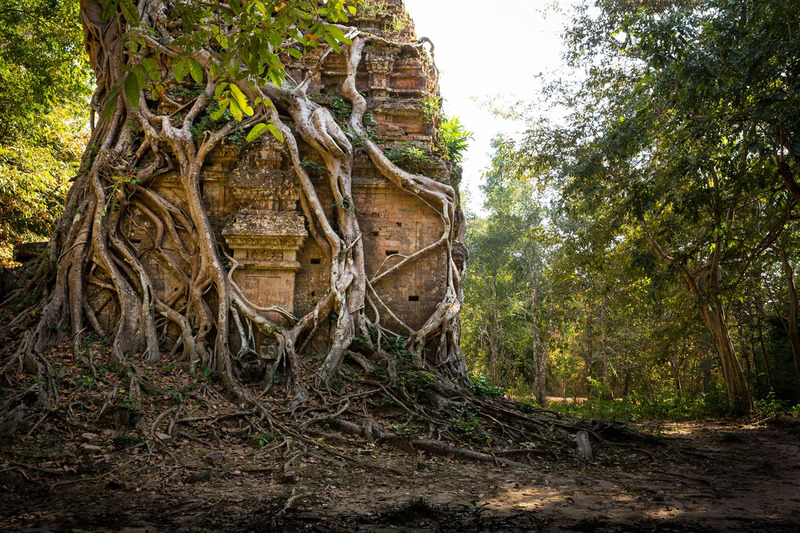 You will need a guide as nothing is signposted and the three groups are sufficiently far apart that it wouldn’t be easy to successfully explore the area by yourself. 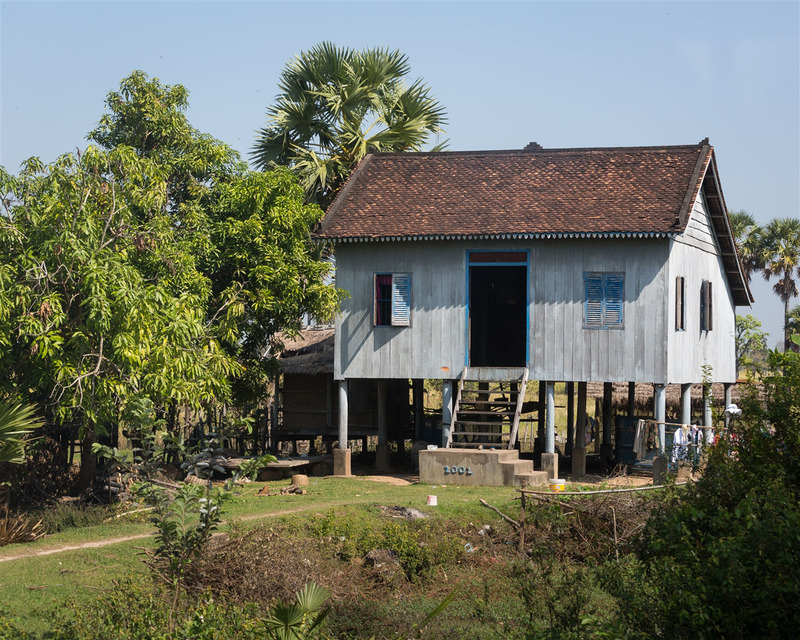 Nor would it be safe, this area remained inaccessible until 1998 as it was constantly under threat of guerrilla attack during the post-Khmer Rouge regime, and hasn’t been fully cleared of landmines. 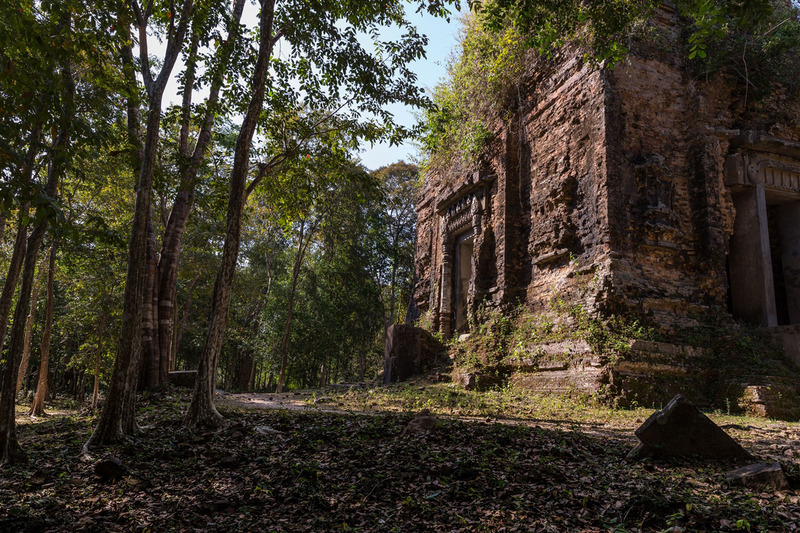 In the early 1970s, Sambor Prei Kuk was also bombed by US aircraft in support of the Lon Nol government’s doomed fight against the Khmer Rouge. 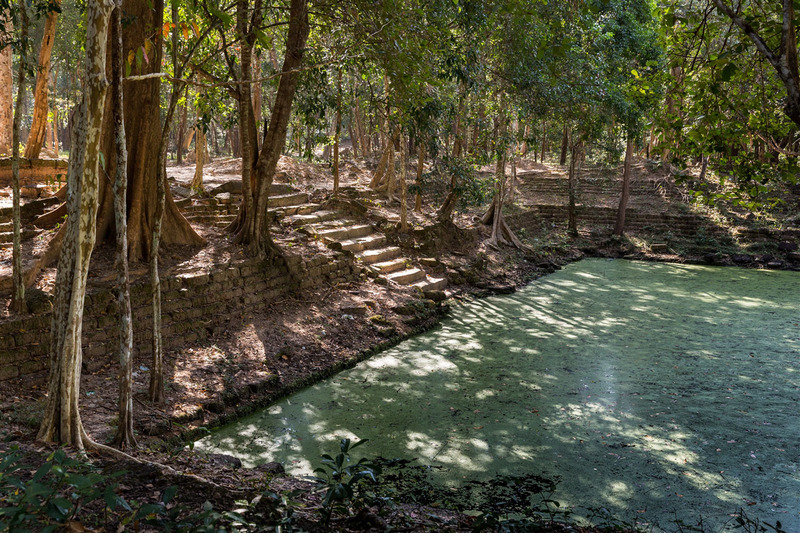 Some of the craters, ominously close to the temples, can also still be seen. 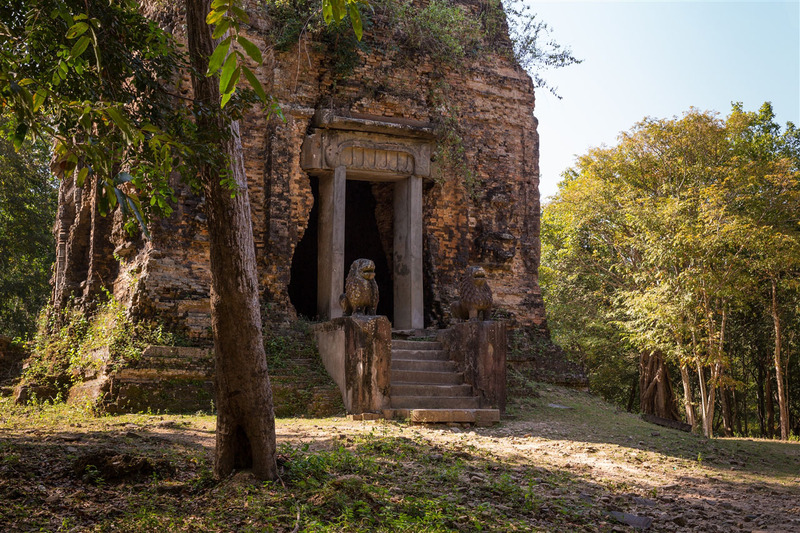 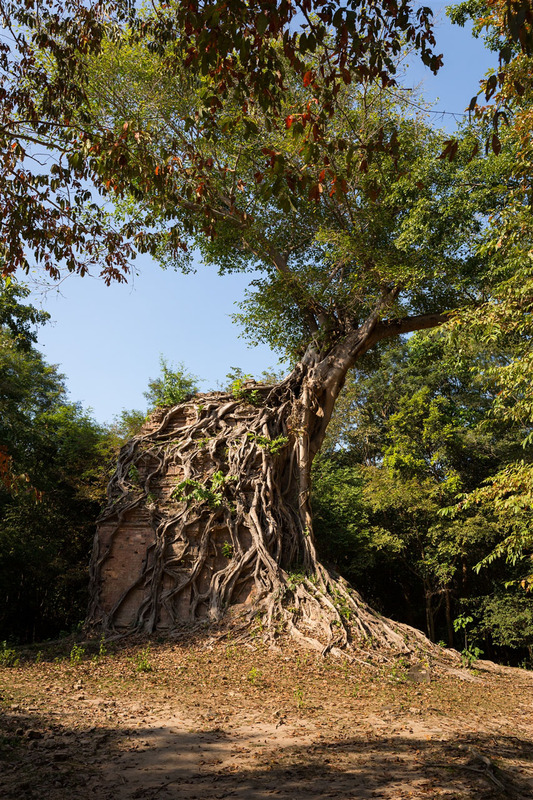 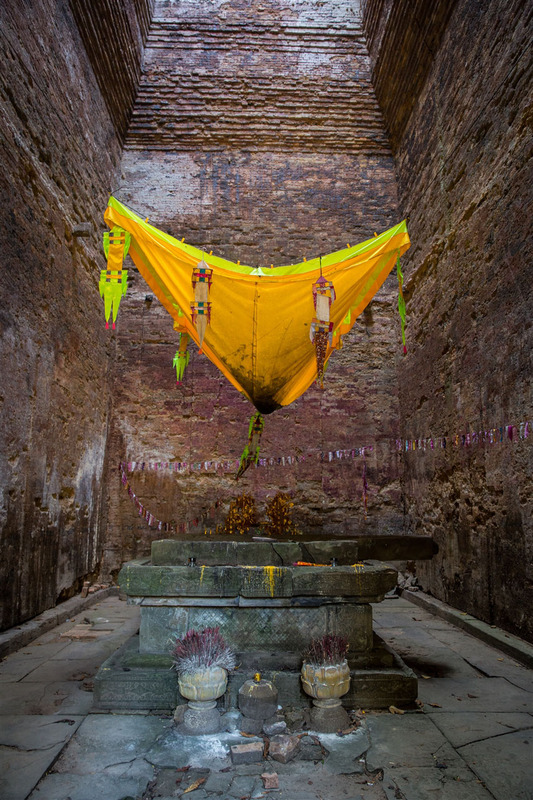 Sambor Prei Kuk has a serene and soothing atmosphere, walking around the ruins under the forested shade you never know what you will stumble across next. 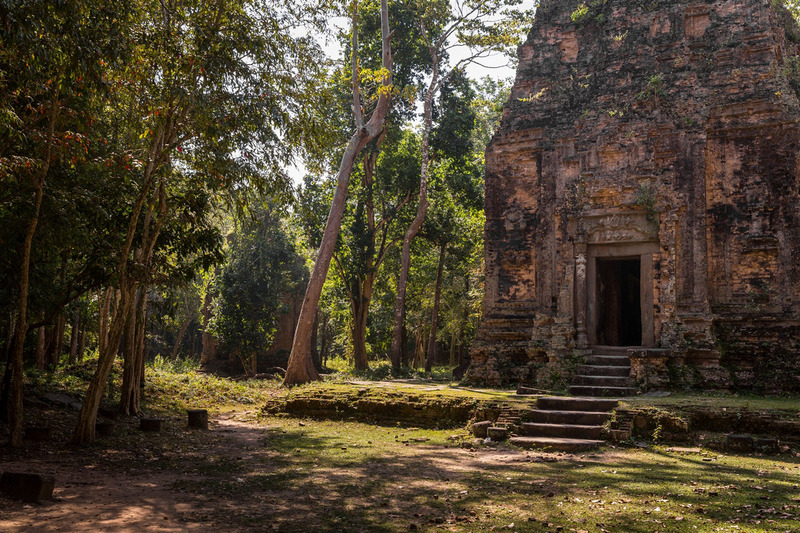 Even though I visited this site immediately after three days at Angkor, it offered something completely different, and a welcome slice of solitude that’s hard to find at the more frequently visited monuments. 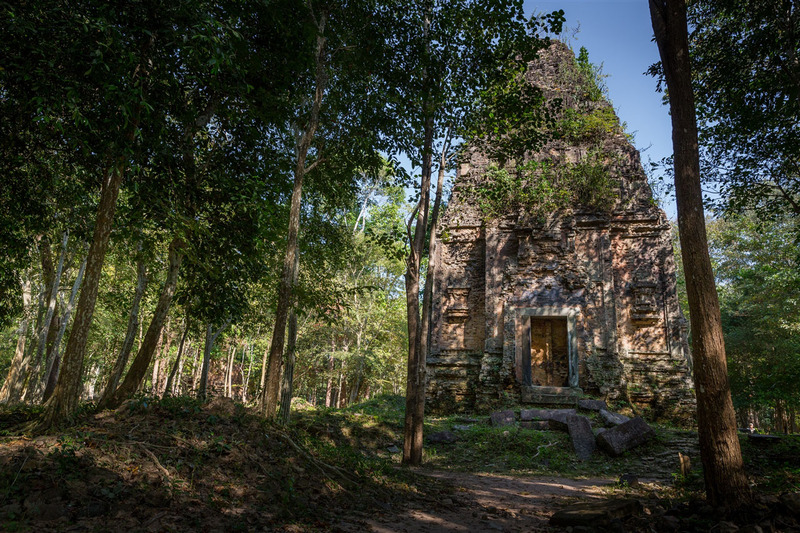 It’s well worth the effort to visit Sambor Prei Kuk if you can fit it into your itinerary whilst in Cambodia.